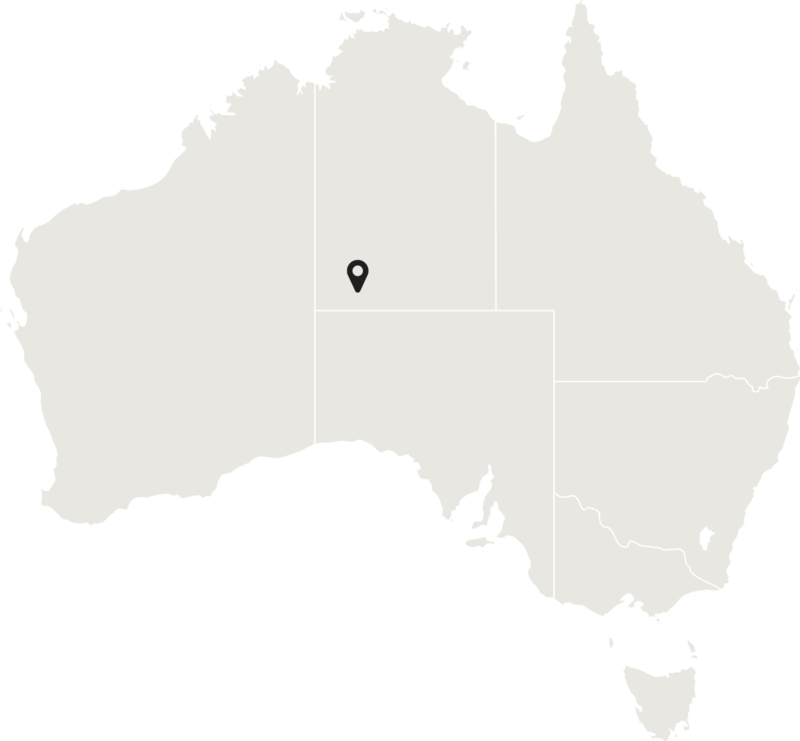 Located in the southern part of the Northern Territory, central Australia. Ayers Rock (Uluru) lies 335 km south west of the nearest large town, Alice Springs; or 450 km by road. The park receives an average rainfall of 307.7 mm per year, and average temperatures are 37.8 °C in the summer and 4.7 °C in the winter. The dual World Heritage listed wilderness of Uluru-Kata Tjuta National Park stretches out over 311,000 acres and is Australia’s most famous natural landscape and arguably a journey to Australia’s heart. Uluru is one of the great natural wonders of the world and the heart of Australia. 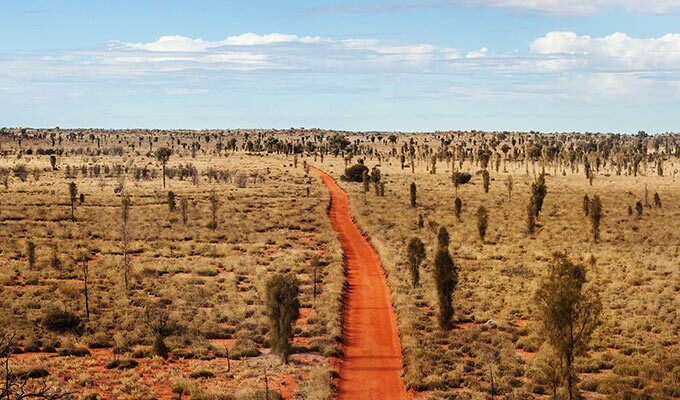 The National Park features the world’s largest monolith, Uluru or Ayers Rock, and Kata Tjuta, also known as the Olgas, a striking group of more than 30 rounded red domes rising dramatically from the desert floor. Both sites have significant meaning to Aboriginal people and form an important focus of their spiritual life. 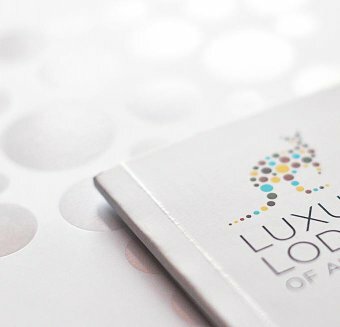 Visitors to Uluru and Kata Tjuta are exposed to an expansive living cultural landscape which few are able to experience. Whether they spend their time learning of the ancient cultures of traditional owners, hearing about the plights of early explorers, or exploring the stunning flora and fauna with expert guides, face to face with this irresistible land, their senses come alive. 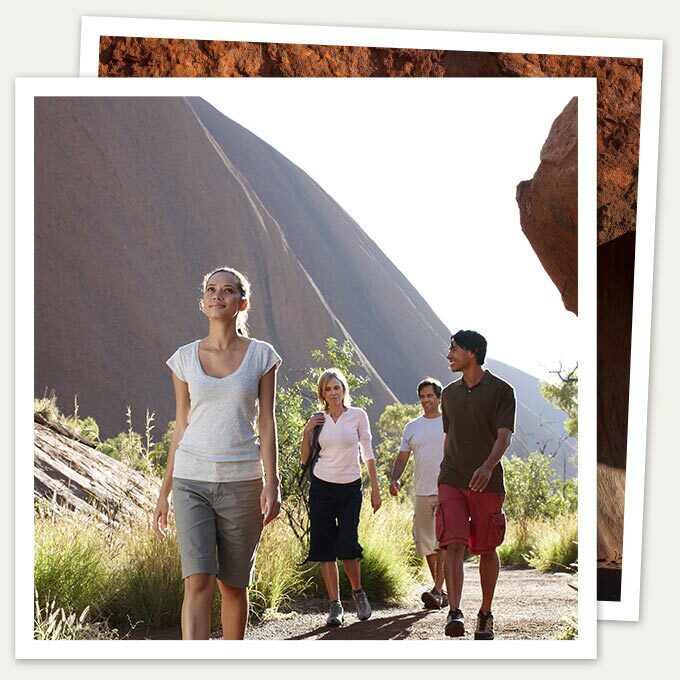 Uluru is one of Australia's most recognisable natural icons. The world-renowned sandstone formation stands 348 m high with most of its bulk below the ground, and measures 9.4 km in circumference. Both Uluru and Kata Tjuta have great cultural significance for the Aṉangu Traditional landowners, who led walking tours to inform visitors about the local flora and fauna, bush foods and the Aboriginal dreamtime stories of the area. Kata Tjuta, also called Mount Olga or The Olgas, is another rock formation about 25 km west of Uluru. Special viewing areas with road access and parking have been constructed to give tourists the best views of both sites at dawn and dusk.